Built for Porsche vehicles. The same detail has gone into this scanner as the vehicle. If you own a Porsche, then you probably have enough money for this device. You really cannot go wrong with this device. An easy device to use. This review of the iCarsoft POR-II scanner gives you all the information you need to make an informed choice in car scanner. There is a lot of scanner information out there, but we have taken the key features and functions so that you get all of the relevant information without the disinformation. We cover the important points and get rid of the fluff. By the time you get to our summary, you will know if this product is right for you. This scanner has been on the market for a long time. It was adopted early on in the automotive industry and has endured for a reason. The scanner will help you to self-diagnose your vehicle, pinpointing the problems and reporting your findings. Once you have found the problem, you are responsible for fixing it or having it fixed, but you will save money on the diagnosis. The scanner will also get rid of warning lights from your dash. It can be annoying to have lights flashing constantly or beeps every time you start up your vehicle. 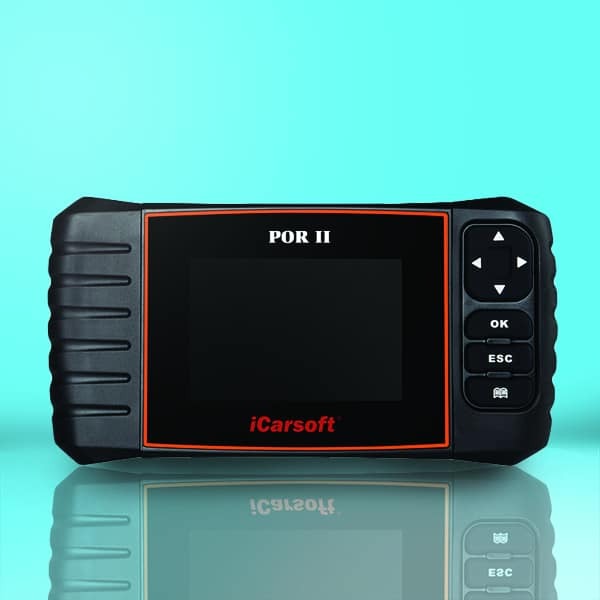 The iCarsoft POR-II will allow you to disable those warning lights and switch them off completely. This is a higher-end scanner so it will cost you a little more than other scanners out there, but it is also a dedicated Porsche scanner, so the quality of the equipment matches the quality of your car. If you are a Porsche owner, then this is the scanner for you. Out of the box, you have the scanner itself, a detailed instruction manual which has everything you need to get your scanner up and running, metal dome keys which are extremely easy to connect and use, a memory card, and connection cables. The software is preloaded on the device so you can plug and play straight out of the box. If your car is a newer model, you may have to download additional software before using. This device has a great display which is easy to read and to use. A colorful OLED screen is bright and contrast-rich, making it easy to read even in bright days when there is glare. The side menu is intuitive, and there are touchscreen options to aid navigation and make it as easy as possible. The scanner has been built to work on all models of Porsche. From the SUVs to sports-cars, this scanner can read and diagnose all of the engines and systems. The software has been specifically designed for use with Porsches. The scanner can read a variety of codes, including transmission and airbags. After reading, the device can clear these codes if there is no immediate fix needed, such as malfunctioning seatbelt lights or brake warning lights. You can also calibrate any warning lights according to the service schedule of your vehicle. The scanner will also allow you to read the data stream from the vehicle. As well as letting you scan and clear lights, and read codes, the scanner will let you monitor all of the electrical functions in your vehicle. 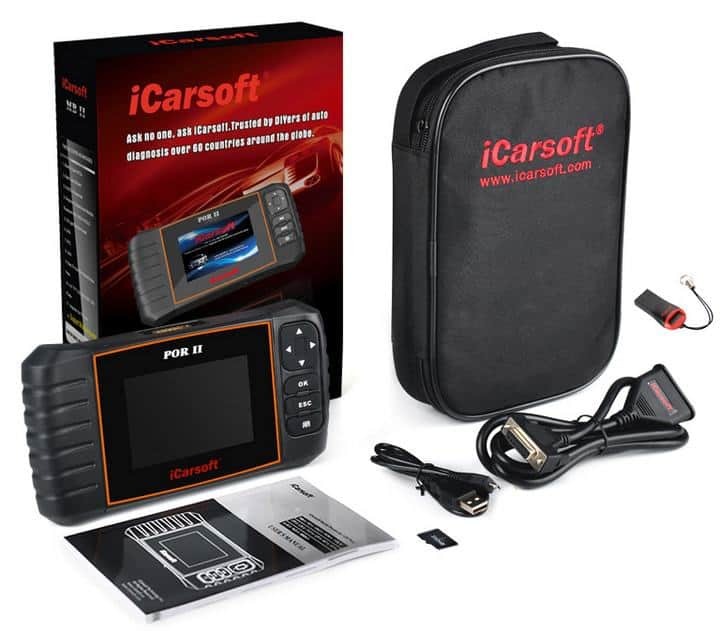 If you have a Porsche, then you are going to want the iCarsoft POR-II. If you do not have a Porsche, then you are not going to want it; it is as simple as that. This device is only for Porsche vehicles. That is a hindrance if you have another vehicle, but an advantage for Porsche owners. The dedication to Porsches means that this scanner has the attention to detail which you need.